A wooden-clad lodge situated near the Shropshire village of Stottesdon, it sleeps three people in two bedrooms. 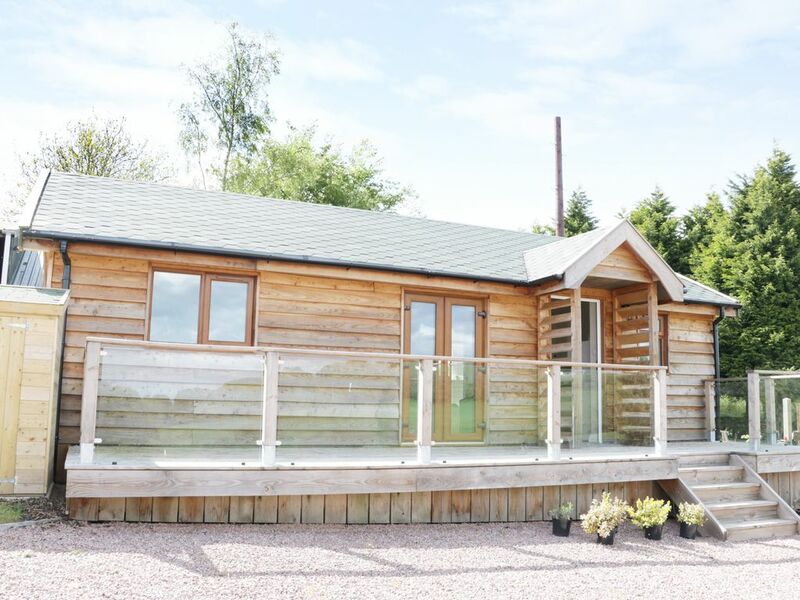 Hill View Lodge 2 is a modern log cabin located near Stottesdon in Shropshire. It comes with two bedrooms which include a double and a single, there is also a family bathroom, the property can sleep three people. Inside, also find an open-plan living area which includes a kitchen, a dining area and a sitting area. To the outside it provides plenty of off-road parking as well as a decking area with furniture. Hill View Lodge 2 is a well-presented property in a superb rural location for scenery, activities and wonderful attractions. Amenities: Gas central heating, electric oven and hob, microwave, fridge/freezer, washing machine, TV, DVD, selection of books, games and DVDs. Fuel and power inc. in rent. Bed linen and towels inc. in rent. Highchair and travel cot available on request. Ample off-road parking. Decking with furniture. Sorry, no pets and no smoking. Shop and pub 2.5 miles. Note: This property has a check in time of 4pm, and check out of 11am. Region: A E Houseman once wrote that Shropshire was “the quietest place under the sun” and today the county remains something of a rural idyll, recognised as one of the least crowded and most peaceful regions in England. Town: Stottesdon sits amid countryside in Shropshire, close to the Shropshire Hills AONB. It comes with a shop and a pub serving food as well as outdoor activities including walking, cycling including watersports. Nearby you can visit the lovely town of Bridgnorth, Ironbridge, Kidderminster and more. All ground floor. Two bedrooms: 1 x double, 1 x single Bathroom with a separate shower, basin and WC. Open-plan living area with kitchen, dining area and sitting area. Gas central heating, electric oven and hob, microwave, fridge/freezer, washing machine, TV, DVD, selection of books, games and DVDs. Fuel and power inc. in rent. Bed linen and towels inc. in rent. Highchair and travel cot available on request. Ample off-road parking. Decking with furniture. Sorry, no pets and no smoking. Shop and pub 2.5 miles. Note: This property has a check in time of 4pm, and check out of 11am.